While I was traveling in Australia and New Zealand, it made me think about the fact that I've not seen all that much of the United States. So, I've been considering a possible year-long trip across each of the states and what my options would be to do something like that. I could just pack a bag, hop in my car and hit the road...but then I have to factor in cost of hotels/food/gas and car upkeep. I'd prefer doing it that way, but that could be pricey for 365 days. 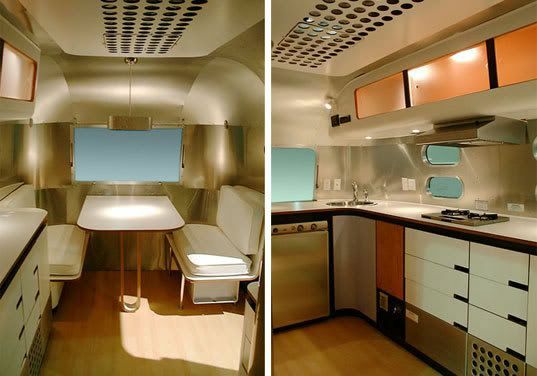 Then I started looking in to buying a used camper (rather than staying in hotels) and how that might be a way to minimize my budget. Over the course of a year, that could really cut down on the cost of accomodations. 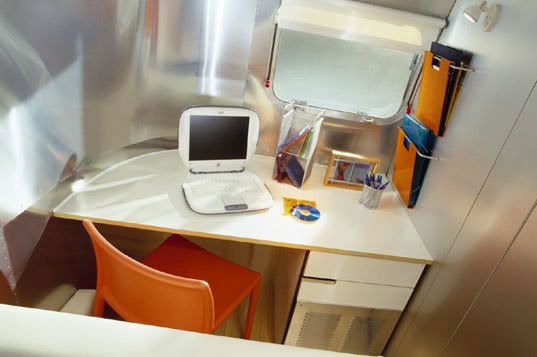 Plus, some of the newer campers (like the Airstream Bambi I'm featuring today), have a halfway decent bed, shower/bathroom and even a desk area wired for technology. However, back to the main part of my concern. I like the idea of camping (seeing scenery/traveling around to remote areas/nature), but the reality (pulling and parking the beast daily, maintaining along the way, not to mention dealing with my own toilet and hooking stuff up)...that is another story. Plus, the idea of my apartment swinging around behind me as a potential battering ram to anyone on the road is a bit intimidating. I don't like tent camping (hello...critters! ), but I could get along fine in something like this particular model. It would probably cost about as much to find a used one of these as it would be to just stay at a budget hotel in each city along the way. 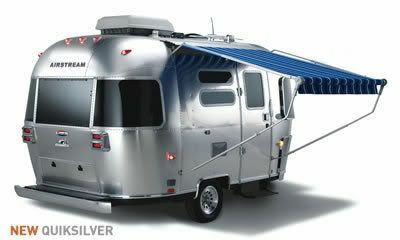 I could certainly get an older model airstream for around $10k or less, but do I want the additional burden of a used trailer that has been knocked about and pooped-in-by-others over the years? Could I do it? Absolutely. Could it make for some interesting writing material and potential comedic moments? Without a doubt. Do I trust myself hooking up gas, electricity, and waste properly along the way so that I'm not a daily fire hazard or traveling petri dish? Hey Jay...thanks for the words of support. I'm sure that, if I decided to do the camper thing, I would figure it out. So, anything is possible. I'm also going to research possible sponsorships (hotel/car) that might allow me to do something for them in exchange for free hotel or car/gas. Lots of options and possibilities, so my research has begun. Also, thanks for following along during my trip! Hey Mark...if I make this trip, Chicago will definitely be on the agenda! Not sure I want a branded homo-mobile...I'd like to make it TO Chicago (remember all the smaller states I'd be driving through). I'm pondering all options, so anything is possible. If I can make a deal with a hotel chain...that would be SO much easier and less likely that people on the road would be injured along the way.